Length of Year: 1.9 years. Mars is home to 9 billion Martians. In centuries since it's initial colonisation, great networks of domes and underground cities have been constructed around the planets equator. The greatest of these cities is First Landing. Home to the vast bulk of the Martian population, it is also at the centre of the nations mass transit hyperloop network. These cities are in turn watched over my many military fortifications and facilities. Most of the people on Mars are incredibly hardy folk, with families often working entire lifetimes in order to meet the planets eventual goal of terraforming and raising the overall quality of life. Martians can at times be incredibly insular and resentful of others, especially the people of Earth. Though living conditions on Mars are more than decent, every being must live inside and grows up in an enclosed environment, a result of Mars’ lack of terraforming. Martians, though often well trained and incredibly disciplined do suffer from natural weaknesses when in different environments. First and foremost those born on mars often suffer quite a bit from the effects of Earth’s atmosphere, unused to the light of the sun it can be almost disorienting for them to suffer through. Along with this Martians also suffer from the same effects many belters do, unused to full Earth gravity it can often make them feel rather ill. It is this and other things that the Martians must be wary of when traveling the solar system. Location of the Martian congressional building. The Martian capital city, whilst it has a relatively small population it is the administrative and political centre of the Martian Congressional Republic. It contains the Martian Congress building, and Martian Academy and many other important buildings. The city was the second place to be settled after First Landing, and is at the centre of Martian civilisation on the planet. 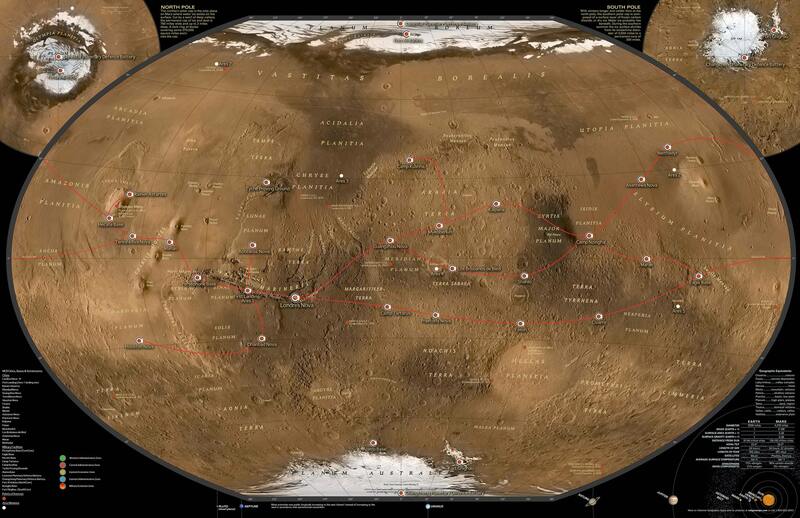 Valles Marineris (Latin for Mariner Valleys, named after the Mariner 9 Mars orbiter of 1971–72 which discovered it) is a system of canyons that runs along the Martian surface east of the Tharsis region. At more than 4,000 km (2,500 mi) long, 200 km (120 mi) wide and up to 7 km (23,000 ft) deep, Valles Marineris is one of the largest canyons of the Solar System, surpassed in length only by the rift valleys of Earth. First Landing had humble beginnings from a single temporary habitat for half a dozen astronauts, to a bustling metropolis containing over 70 million people. It is the location where Humans first set foot on Mars, with the Ares 1 mission site now preserved under a great glass dome. It is the centre of trade, business and culture on the planet, with its great population sprawling east and west through the Mariner Valley, as well as deep underground. The city contains the highest concentration of had domes anywhere on Mars, as such a large network of anti-collision laser turrets have been installs across the urban sprawl so avoid potential catastrophe. Not long after the third wave a meteor shower decimated the city, killing thousands and crippling its infrastructure. Luckily the hyper loop network had been recently completed and allowed for its reconstruction to progress quickly. Tanis was originally a colony city dug into rock underneath the surface of Mars, much like the majority of other settlements in the early days. It was cut off however, during a large and lasting dust storm that lead to the loss of several other colonies. For decades the inhabitants clung on to life and chose to remain separate to what they saw was an increasingly authoritarian and warlike Republic. Using the nearby shibreaking grounds as their source of metals, alloys and rare elements they instead diverted much of their energy into terraforming and hydroponic technology. The "Lost City of Tanis" is set to rejoin the Republic following its discovery by a MCR pilot in recent months. Rainier Astartes is the official record and archive storage location for the Martian Congressional Republic. As it is the only civilian settlement located near Olympus Mons, it is visited by a high number of tourists on their way to the great volcano’s summit via cable car or aircraft. The facility itself is build deep into the side of the volcano, far underground where the republic’s records are kept safe from any potential threat. Over time the settlement has grown to envelop the facility, however its clearly governmental purpose is made clear by imposing ten metre high concrete walls patrolled by the MCRDF. Dhanbad Nova is the scientific centre of the republic. It is home to the first and largest observatory on the planet, as well as numerous scientific laboratories, R&D facilities and deep space exploration missions. It contains several launch pads for probes and exploration vehicles. Dhanbad Nova is also home to the largest known underground cave system yet discovered on Mars. The city was first developed in the second wave of settlers as more scientists and engineers left Earth for Mars and it’s lucrative scientific potential. 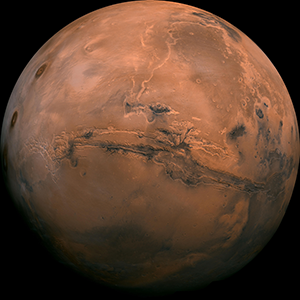 Guangzhou Nova is the third settlement to be built on Mars and is the second largest in population. It is the industrial hub of the eastern settlements and produces many of the complex compounds and organics required for the terraforming effort. The city is built around the ring of the Kalocsa Crater and has one of the largest agricultural in the republic. As such it has a health food culture with the many cuisines of its inhabitants heritage fusing together. Named for Ci Xi (Empress Dowager Cixi) and Jose Antonio Navarro, initially Civarro started off as two independent settlements but overtime merged into one due to their close proximity. Another merged city that started out as two settlements the Shakti Indian settlement and the Kahlo settlement. Together the two settlements became a single city and is often where many of the 'artistic' Martians go. It's considered to be the 'Seattle' of the Valley. An Indian settlement named for Kalpana Chawla the first Indian woman to go to space, while predominately Indian the settlement is now part of the major 'Nova lanes' helping to keep Mars connected to their goal of terraforming. Initially the Fa Settlement and the Sun-Shin Settlement of Chinese and Korean origin. The two settlements were across from one another divided only by a mountain. They were among the first wave of colonist and didn't know of the other's existence until by happenstance both settlements dispatched explorers. At first there was some hesitation given their nation's histories with one another, however; determined to make their Martian history different from their first (Earth). The two settlements eventually resettled on the mountain during the next Lunar New Year (which is between Chinese and Korean new year for Earthers). At the edge of Cydonia Mensae were three colonies from the second wave. Koreans who formed Myeongnyang, Australians who settled New Canberra and Texans who created Crockett. Scattered initially across Terra Arabia until a harsh season claimed the lives of many between the three. Eventually one, by one the settlements folded looking for a new place to settle. They found it, together and at first no one knew what to make of the other until the Australians offered up an idea the idea was that the three work together. No one could afford to really say no, as they were all running low on supplies. Thus Myeoberket was born. It's a rather unique and quirky place but it has some of the best BBQ this side of Mariner Valley. You can easily see where each of the three began and where they came together as one, you'll find wrangling sports and wrestling just as easily as you can find someone getting tossed out of the bar. An Earther once described this place as quirky as Portland but as rough as Dublin with a slew of strange West Texas and East Australian accents. A truly Martian place located near the Ares 4 landing site & the Schiaparelli Crater. This is the result of Australians, Slovenians, and West Latins and their stubbornness. Somewhere between the second and third wave these three groups of colonist all saw the same patch of dirt as the story goes. No one wanted to budge and it became something of a standoff until it was, they say, a Latina and a Slovenia fell in love. Everyone threw up their hands and decided to make the best of it. Los Brisbanos de Bled is actually one of the best cities for equipment, plenty of mechanics come through here as do engineers but the best thing about this place. A city that dates back to the second wave, formed of Northern African settlers along with Russian settlers (with few from the Chukotka region). They both settled around the Utopia Planitia (what would be known as Asantewa Nova, had already been established from the first wave), however; the North Africans had ventured too far towards the North Pole and eventually retreated due to dwindling numbers. They were aided by the surviving Russians (they were coming down from the South Pole when they ran into the North African settlers), eventually the two groups merged and created Neithadyr, a name that combines Anadyr (a city in the Chukotka region of Russia) and Neithhotep (the First Queen of Kmt, Ancient Egypt). A colony initially founded by Arab settlers and financed and sponsored by the billionaires of the Persian Gulf. The colony concentrated above all and above all on the exploitation of the resources at hand. And this in order to make the colony as profitable as possible. Especially since its sponsors live in deserts that are desperately lacking enough to feed them and provide them with food. When Mars gained its independence. The organization that managed the colony was nationalized (by force). They were very useful in establishing an independent and healthy Martian economy. Since the colony had a large cash reserve and a thriving machine already in operation. The city also participated very actively in the development of the global hyperloop network in order to overcome the forced isolation in which they lived. The city now has an excellent institution for mathematics and engineering. It can also boast the best financial firms and economics faculties. Orange is a Martian colony founded by a company founded by an eccentric billionaire. The first inhabitants of the city were miners and exploiters in search of wealth sent to Earth on behalf of Orange. The colony has obviously evolved over time to become an important port and centre of Mars. Orange found itself managing populations, and cities since other outposts were founded as soon as they found an interesting deposit. The corporation was therefore the first to govern its small (large) territory on Mars. Over time, even the founders and CEO of Orange moved to Mars. At the time of Mars' independence, the ultra-rich corporations were at the head of a small empire for him. The Martian Independence Treaty allowed the nationalization of this type of enterprise since it governed as much as it operated. Orange city was therefore integrated into the republic as were the cities it ruled. Today Orange city brings together many Think tanks that want more freedom for the private sector in addition to being the place where the private sector has the most power and freedom. Persephone is Mars' largest military installation & home to both the MCRN Defence Force Command, and Martian Central Command, the former being responsible for all matters relating to the defence of Mars and its population, the latter being responsible for the defence of Mars' interests in the solar system. The base contains a airbase, barracks, spaceport, two mass drivers for launching vessels and cargo into orbit, a fortress, a hyperloop station and a civilian zone known as Plaza Zhengzhou. Located in the crater of the Sharonov Crater, most new weapons, vehicles, air and spacecraft are tested here before being approved for mass production or seeing active duty. The crater is littered with abandoned, damaged or destroyed structures used during testing. Located in what could be considered the harshest environment on Mars, the Alamo is a testament to not only the history of the name but those who go here to study. Many who come here are part of the Martian effort to terraform the planet, but due to the harsh climate even with the most advanced of technology, teams are routinely rotated out keeping both research and ideas fresh. A cruise missile and mass driver battery capable of providing fire support to the majority of the Northern Exclusion Zone. It consists of a surface based battery, guarded by the nearby military base, and a weapons battery in geosynchronous orbit. A cruise missile and mass driver battery capable of providing fire support to the majority of the Southern Exclusion Zone. It consists of a surface based battery, guarded by the nearby military base, and a weapons battery in geosynchronous orbit. This space station orbiting at the L1 Lagrange Point between Mars and the Sun is their magnetosphere. Built as infrastructure during the early days of terraforming, it was to protect Mars' atmosphere from the harmful radiation similar to how Earth's outer core protects theirs. A separate detachment of the MCRN is dedicated to protecting this vital piece of infrastructure. This page has been seen 1,568 times.